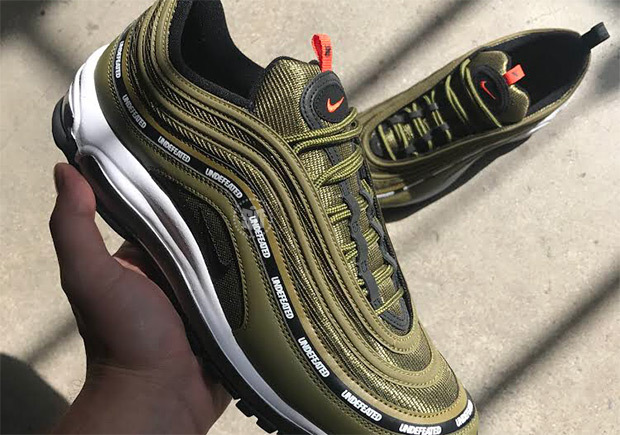 UNDEFEATED has a third colorway of their celebrated Air Max 97 collaboration coming, and it just might be the one you’ve been waiting for. The California-based sneaker boutique that paved the way for sneaker collaborations in the U.S. established itself with its signature MA-1 Flight Jacket colorway that was seen in their Dunk High of 2001 and later in their unforgettable Air Jordan 4 in 2005. 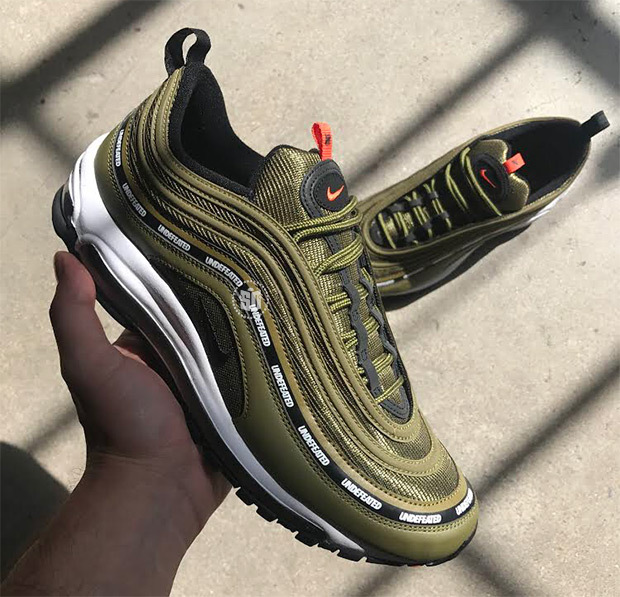 It appears that the signature “Olive” colorway is hitting the Air Max 97, with a black stripe around the shoe and orange details on the tongue. For now, these are releasing exclusively at Complex Con this coming weekend, so check out the exclusive look here and stay tuned for potential future release info.